BOSTON—Fifty years after its inception, rock ‘n’ roll music remains popular due to the ardor of its fans and the hard work of musicians, producers, and concert promoters. 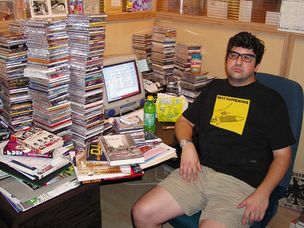 But in the vast universe of popular music, there exists an oft-overlooked group of dedicated individuals who devote their ample free time to collecting, debating, and publishing the minutiae of the rock genre. They are the losers who write rock’s rich and storied history.